One master bedroom for two or three people connected with a living room for two more people. 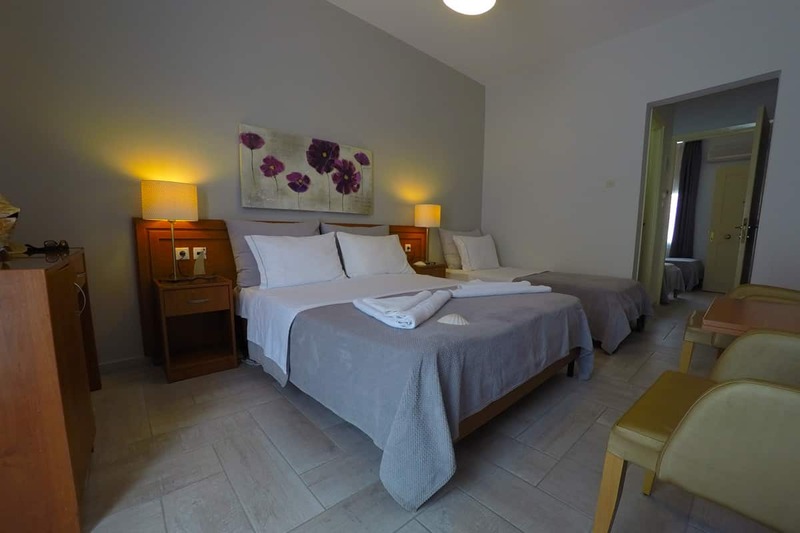 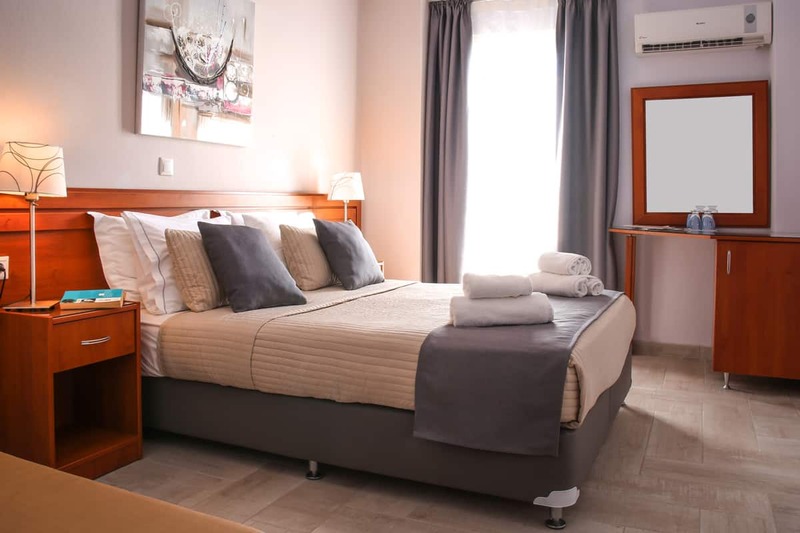 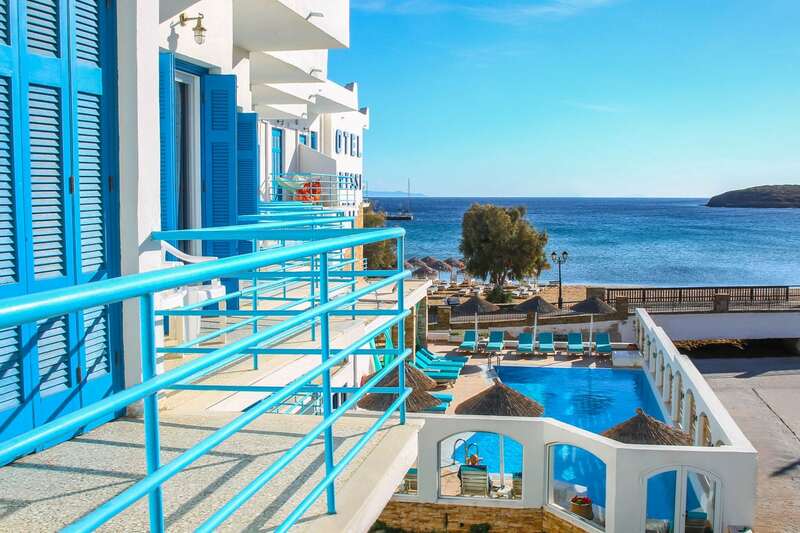 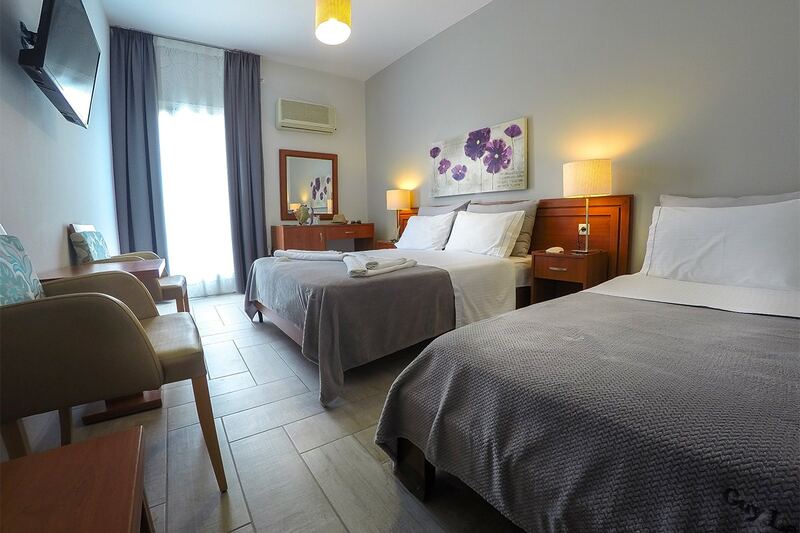 This Family Room is located on the first or the second floor of Chryssi Akti Hotel Andros and has a side view overlooking the endless blue sea. 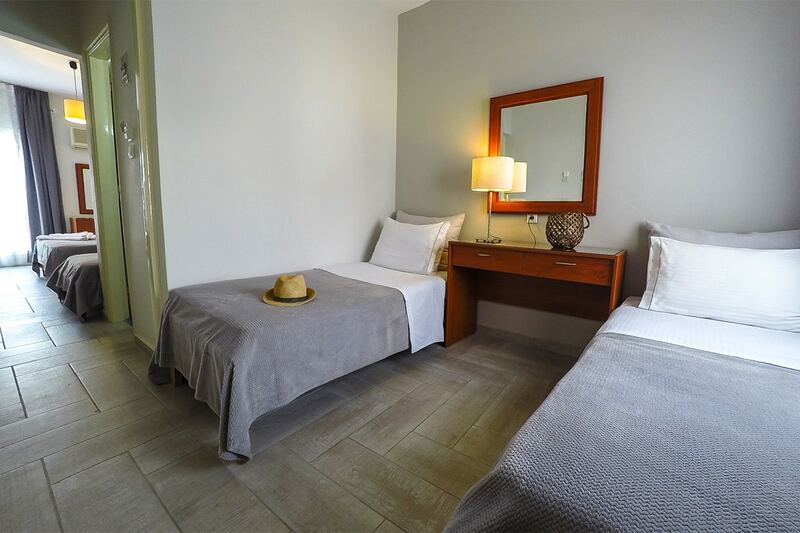 It is perfect for families who plan to spend their time in comfort and direct access to the beach. 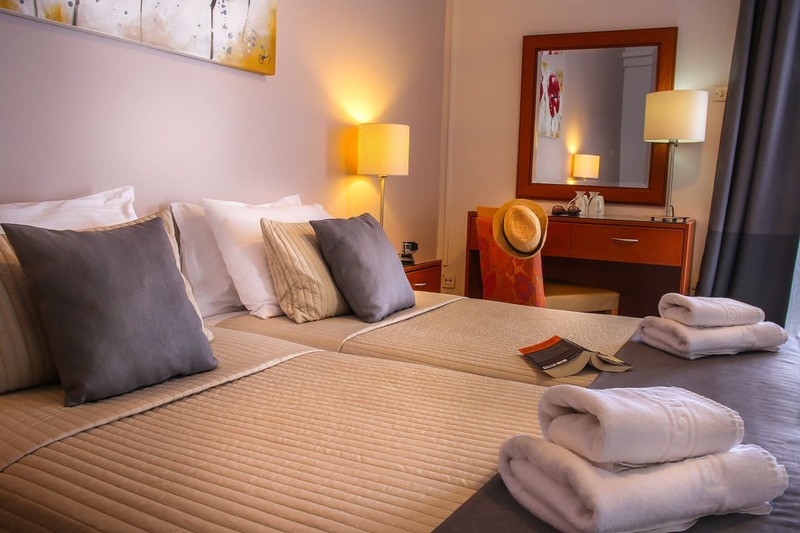 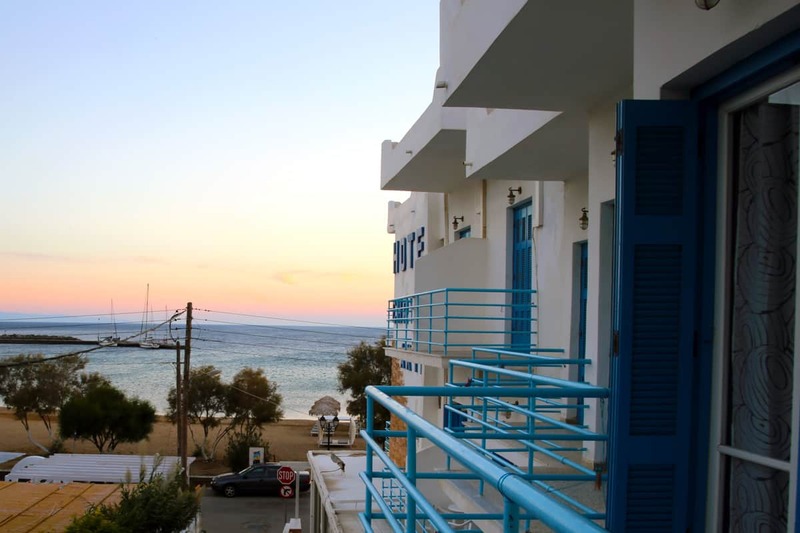 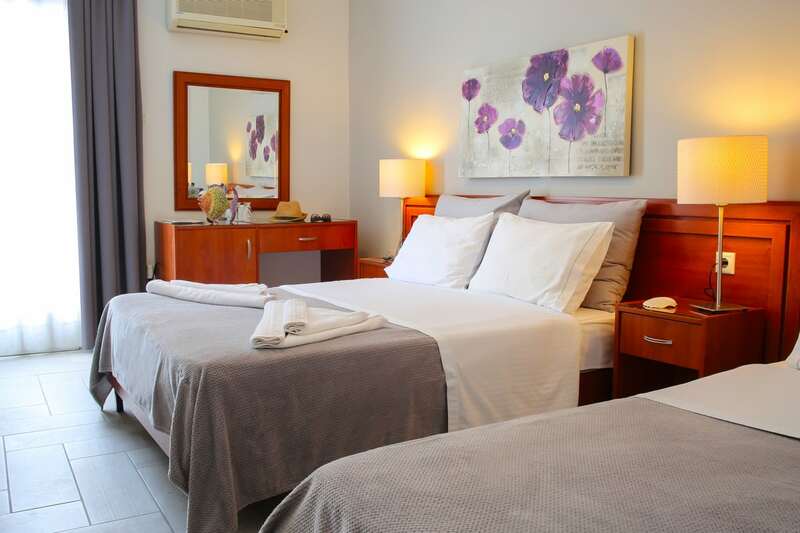 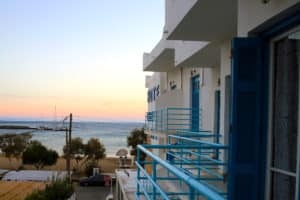 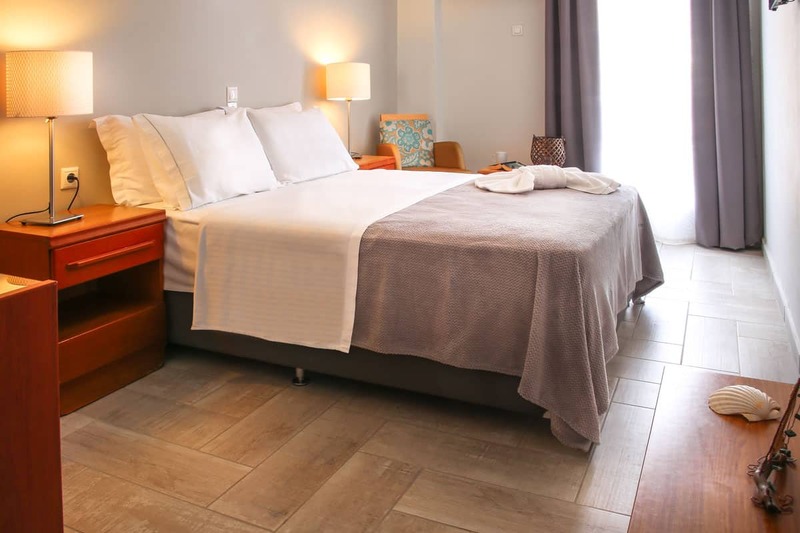 It is functionally configured for comfortable living and nicely decorated to offer you the warmth of Andros hospitality. The room size is 24 to 27 sq. 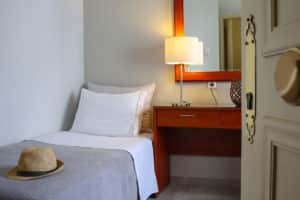 m. and has a capacity of up to 5 people. We have the ability of adding a playpen to accommodate one child. 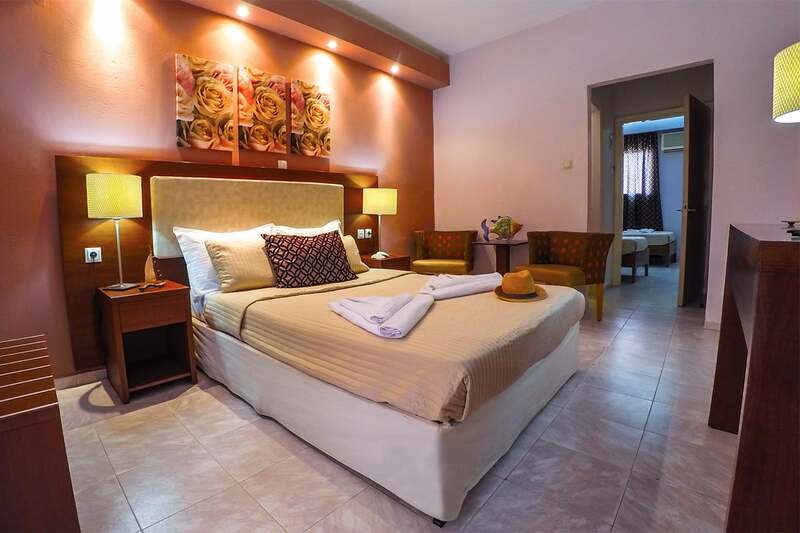 It includes breakfast, free use of internet, many amenities and and will satisfy your family needs.